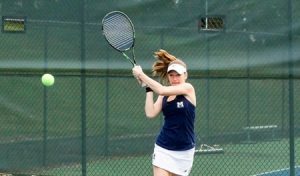 A philanthropy network that supports Middlebury athletes. Go Blue! 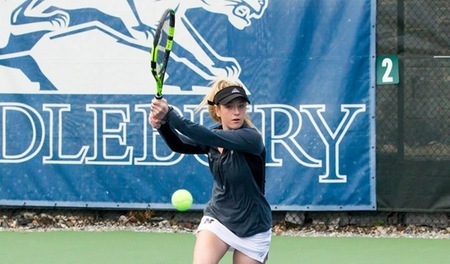 You have been an important part of our Middlebury Women’s Tennis team’s progress and success, and I want to share some of my plans for this academic year with you. We have many reasons to be optimistic about the season, based on lessons learned last year and strengths we are cultivating this year. The team’s efforts paid off with some great results, including the NESCAC Finals and an NCAA Final Four appearance. We also had two players who made the quarterfinal round of the individual NCAA tournament. We were extremely lucky that none of our players graduated this year and to gain three great new players. We are looking forward to a lot of exciting opportunities this year, one of which is hosting the NESCAC Championships. 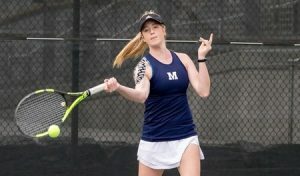 We are incredibly fortunate that friends of Middlebury Women’s Tennis consistently step up to support the team, and I am asking for your support again this year. We need to raise $30,000 to help cover the cost of our spring break trip. This trip is a unique opportunity for our team to travel to California during spring break to compete against some of the top teams in the country. It allows us to play teams outside of our conference and to test our skills against Division II and Division I teams. Aside from the tennis, it is also an awesome bonding trip, where the team gets to spend time with each other on and off the court. We believe this trip is a crucial part of our success and we are extremely fortunate and appreciate the opportunity to take this trip. We rely on the generosity of alumni to help make participating in women’s tennis affordable for all of our team members. 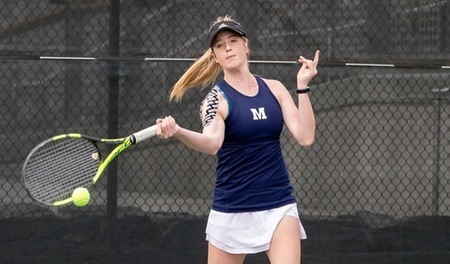 With your help, Middlebury student-athletes gain so much from participating in women’s tennis—experiences that last a lifetime and prepare them to fully engage with our complex world. Please take this chance to support our team with a gift today.